A below-knee (BK) prosthesis will typically consist of a custom-made socket, a pylon and a foot. Sometimes a suspension sleeve or harness may also be necessary. The Harmony volume management prosthesis. By improving linkage with your leg, Harmony improves your gait and increases security, providing confidence and connection with each step. The latest Harmony P4 pump combines superb suspension, torsion, and vertical shock into a compact and streamlined package. A below knee (BK) or transtibial (TT) prosthesis is custom made for a person who has had a BK or TT amputation. 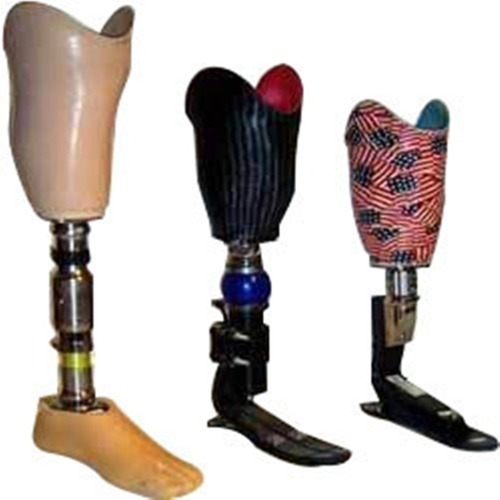 The prosthesis consists of a custom made socket, liner, pylon, and foot. Sometimes the prosthesis may consist of a sleeve or other harness, depending on the suspension system used for that patient. Information on MCOP's high performance prosthetics for below knee amputees. Learn about the latest prosthetic technology and the most skilled prosthetists.